You may or may not have seen the infamous In Bruges film where Bruges is described as a f*cking fairytale town. Well, Harry was definitely not wrong; Bruges definitely has a certain fairytale charm. 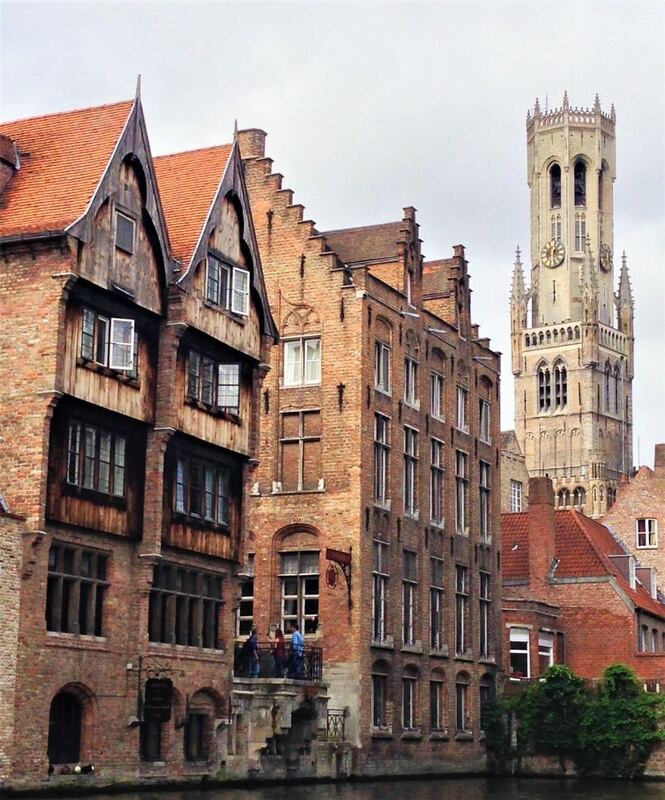 When I booked my trip to Belgium, a day trip to Bruges was at the top of my list and I wanted to make the most of it. Thankfully, it’s really easy to get from Brussels to Bruges by train, which makes it an easy day trip from the capital. 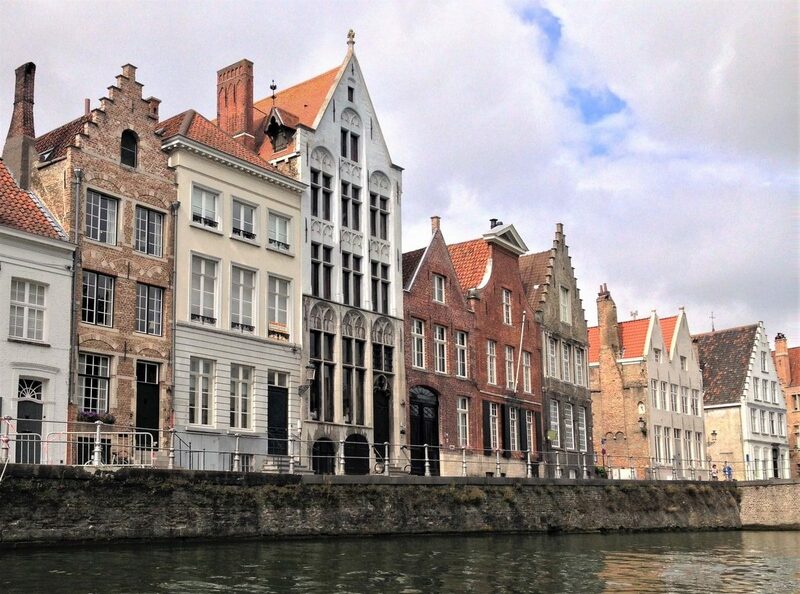 Bruges is a compact city and one day in Bruges is enough if you want to see the key highlights. If you want a more relaxed pace and savour the experience, I’d suggest staying overnight. 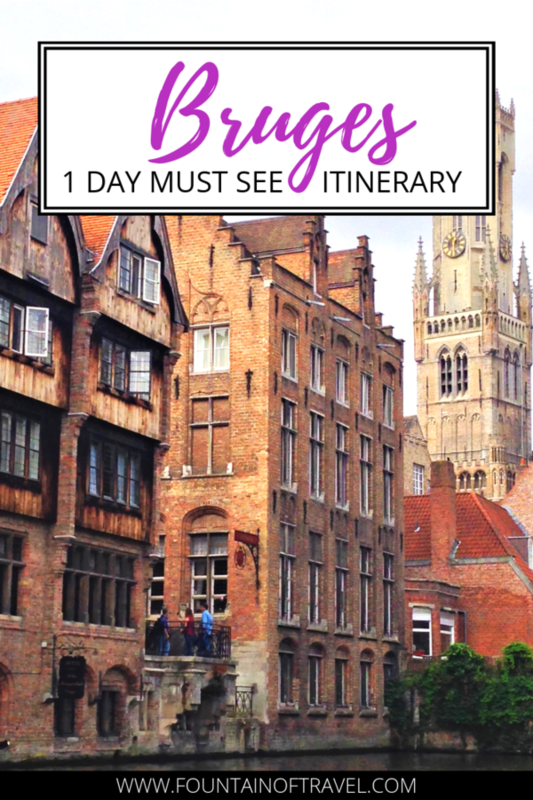 Anyway, on to the one day in Bruges itinerary (for first-time visitors)! As mentioned, a day trip by train from Brussels to Bruges is easy peasy. I personally like to use Trainline for my train tickets but you can also book directly with SNCB through their website. Direct trains leave from Brussels Midi, Central or Nord to Bruges on a very regular basis (a minimum of once an hour). The journey takes between 1 hour to 1 hour 10 minutes depending on departure station. When you exit Bruges train station the city centre is diagonally on your left, through the park area. We just followed the crowds (this is a popular tourist destination!) and easily found the centre. As mentioned, Bruges is a popular tourist destination; in 2017 the city had 1.8 million overnight stays according to Visit Flanders. This number wouldn’t include day visitors such as yourself. Keeping that in mind you might want to consider visiting in the shoulder seasons. Spring (March – May): High temperatures are an average of 9 degrees in March rising to 15 degrees in May. On average it rains 10 days of the month. 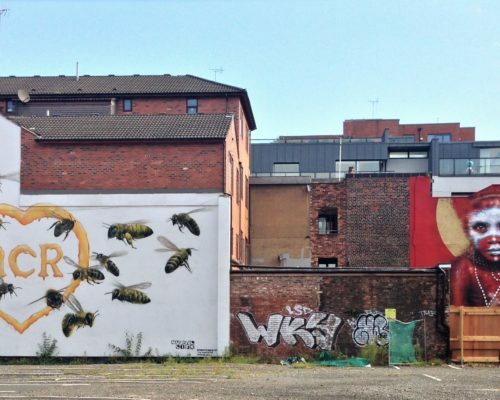 Summer (June – August): High season. High temperatures hover around 20 degrees. On average it rains 9 days of the month. Autumn (September – November): Temperatures quickly drop from an average high temperature of 18 degrees in September to 10 degrees in November. November is generally the wettest month of the year. Winter (December – February): The winter market is a popular destination in December. High temperatures are around 7 degrees. Average low temperatures drop to 3 degrees. Precipitation ranges from 9 to 12 days with February the driest of the 3 months. Right, so where does one start with a day in Bruges? In my opinion, the main charm of Bruges is to wander around and soak everything in. 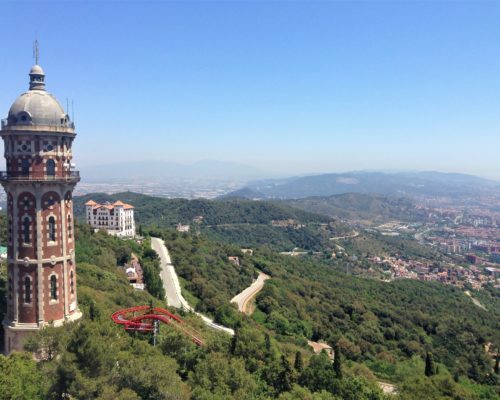 With a historic centre that’s UNESCO listed, there is plenty of architecture to see and admire. However, this would be a very short guide if my only tip was to walk around. So what are Bruges’ must see sights? The first spot of interest in Bruges that you’ll pass from the train station is Church of Our Lady. 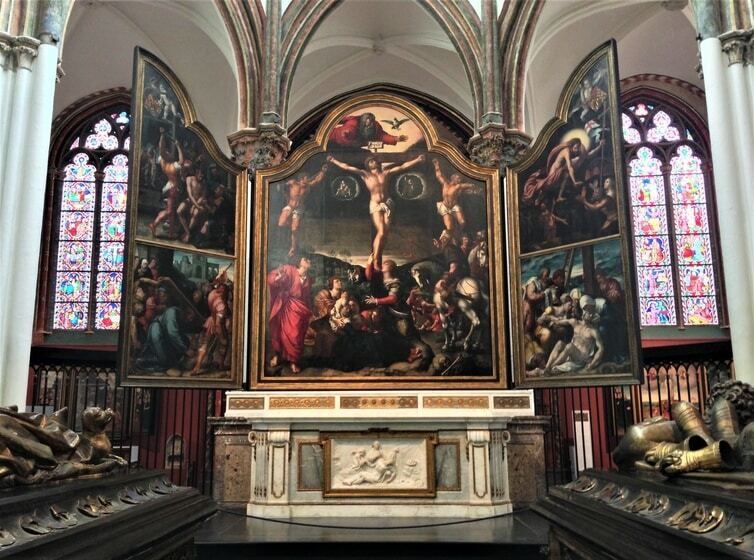 The church was founded in the 13th century and is most famous for its statue of Madonna and Child by Michelangelo. This is the perfect opportunity to see work by Michelangelo outside of Italy! However, please note that due to restoration work, you won’t be able to see the statue at all between December 2018 and March 2019, so make sure you visit after this. 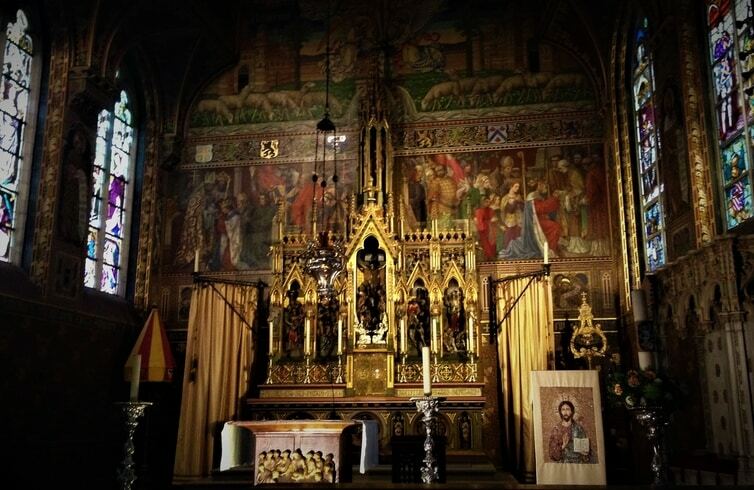 Also make sure you don’t miss the beautiful painting by Bernard van Orley that hangs above the altar. Entrance is 6 euro and also reduced whilst the Madonna isn’t visible. 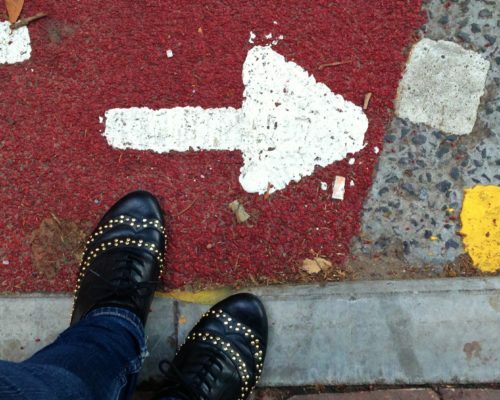 Address: Intersection of Nieuwstraat and Dijver. This is where I joined a boat tour although there are 4 more places to join them in the city. 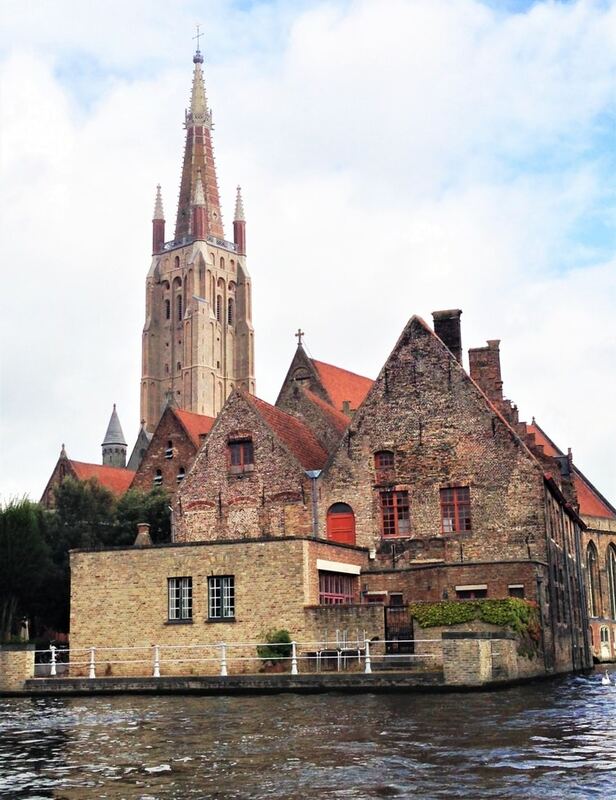 When you’re done with Church of Our Lady, a canal boat tour is one of the best things to do in Bruges. I found this to be a nice way of seeing Bruges and it’ll give you an idea of things you might want to see later. The canal boat tour takes half an hour and will cost you 8 euro. 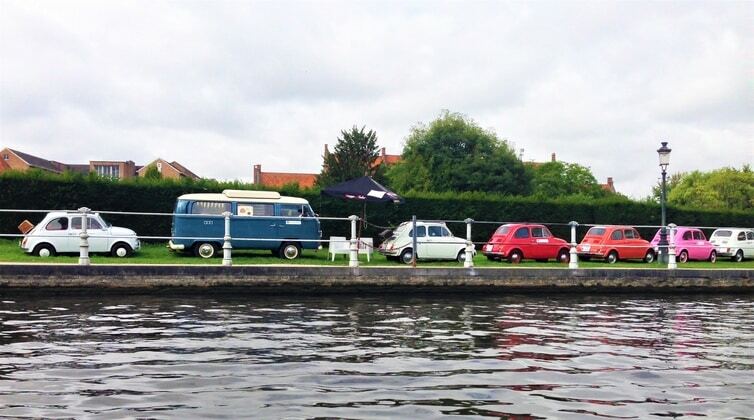 The Bruges canal boat tours run between 10.00 and 18.00 from March to mid-November (sorry Christmas Market visitors). This is a really popular photo spot and not surprisingly so; the canal and buildings combine for a postcard perfect view. If you want a different angle of the spot, try walking through the covered walkway on Wollestraat by Bourgoensch Hof Hotel. The slightly leaning Belfry of Bruges is a medieval tower that was originally used to spot fires and act as a treasury. Nowadays, it’s probably one of the most recognised sights in Bruges (in no small part thanks to that infamous film I mentioned). You can climb the tower in 366 steps to see the view of Bruges for 12 euro. My joints don’t agree with 366 steps but my travel companion climbed it. It’s a good view (albeit with black mesh over the windows) although the climb is pretty steep. Belfry of Bruges is situated on the Markt, which is the main square of Bruges. 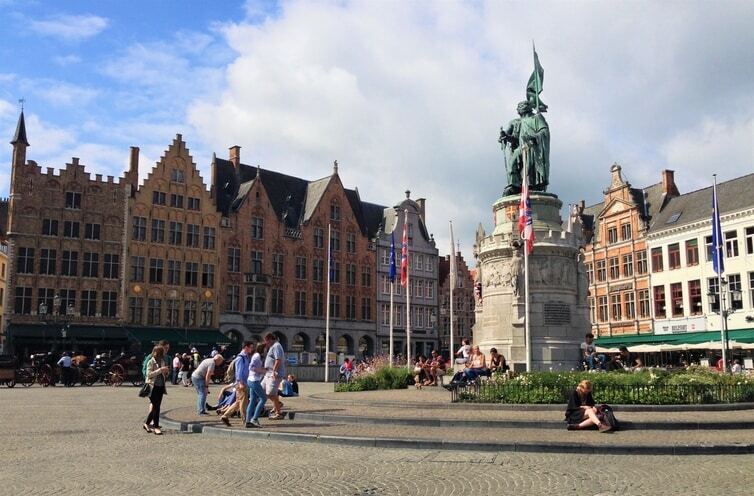 Surrounding the square is the architecture that Bruges is so famous for. Markt is definitely worth a visit and a nice place to sit down and people/architecture watch for a while. My lunch spot in Bruges was a great little find. Cambrinus is down one of the side streets to Markt and gives off some serious Harry Potter vibes from the outside. If you’re into beer, they have 400 beers on the menu. Apart from beer, they serve primarily traditional food. I tried the rabbit with prunes, which was delicious. The Basilica of the Holy Blood was one of my favourite experiences in Bruges. First of all, the basilica is extraordinary from the outside and covered in intricate details. Once inside, you can view a cloth (under strict supervision) that is supposedly covered in Jesus’ blood. Each person only gets a a few seconds as you have to line up and slowly pass the cloth. The relic is available to view before and after mass so plan accordingly. Apart from the relic, I really enjoyed the atmosphere in this basilica. I ended up sitting down for quite a while just contemplating life and admiring the interior of the upper section. Kantcentrum: Balstraat 16. Live lace making demonstrations and a museum. Entrance 6 euro. ‘t Apostelientje: Balstraat 11. Incredible antique shop where you can buy handmade lace. Something that few people seem to talk about online is Bruges’ long history of lace making. The region Flanders has been famous for lace for over 600 years and Bruges was the heartbeat of traditional lace production in the early 20th century. Handmade lace are like small pieces of art and it would be a shame to visit Bruges without acknowledging its lace history. You can see live lace making demonstrations at Kantcentrum in the Sint-Anna Quarter, however, I personally missed these. Instead, my favourite experience in Bruges was to stumble upon the antique shop ‘t Apostelientje. Every inch of this shop is covered in contemporary, vintage and antique handmade lace. Some pieces are an eye-watering price but it’s possible to find smaller pieces of gorgeous lace for 20 euro. 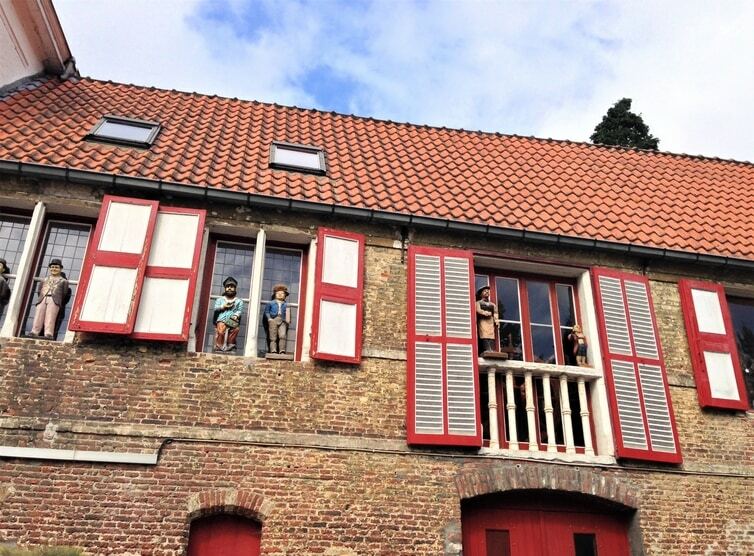 If you’re looking for one quirky and hidden gem in Bruges, this is it. I was the only visitor when I bought my lace and the lady running the shop was both friendly and knowledgeable. The opening hours are limited, so check the website before your visit. In addition to the lace, I enjoyed my walk through the Sint-Anna Quarter. 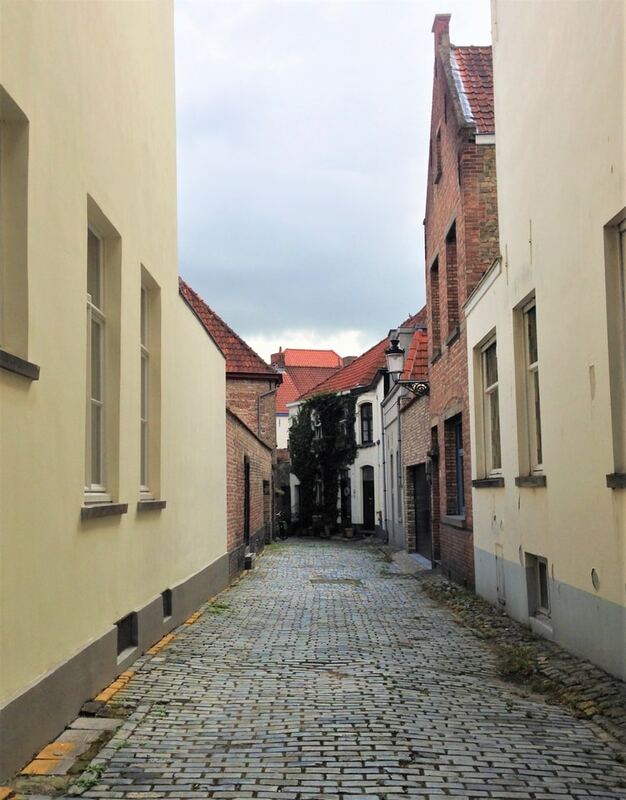 In a city as popular as Bruges, it can be difficult to find a quiet neighbourhood but I found very few tourists in the Sint-Anna Quarter. Some of the highlights are the imposing spire of St Anne’s Church, the quirky Jerusalem Chapel (part of Adornes Domain) and also the pretty waterfront at Sint-Annarei. You’ve come to the end of your day trip to Bruges and it’s time to start heading back towards the train station. Don’t forget to pick up some chocolate on your walk back (Bruges even has chocolate in some very questionable shapes resembling body parts…). Hopefully you feel inspired to spend a day in Bruges after reading through this, please let me know if you’ve ever been or want to go! I visited Bruges as part of a bigger trip through The Netherlands and Belgium, check out my posts on The Hague and Brussels if you’re interested in doing the same. Thanks so much for commenting 🙂 It’s such a pretty city, keep feeling like you’re walking through something that’s a bit surreal! We visited Bruges almost 10 years ago – it was only for half a day, but we absolutely loved it! It truly feels a bit like a fairytale. We really want to go back with more time to explore, and will definitely be using this post for inspiration (as we only saw a few things on our first time). Thanks for commenting 🙂 Even writing this post made me want to return and explore more of the city, it’s such a likeable place. Bruges is such a pretty city! I visited in the pouring rain of spring back in 2014. It was very wet out but still so nice to walk around and admire the city. I also visited a chocolate museum, which was pretty cool! Oh, chocolate museum does sound cool! To be honest, I didn’t really know what to expect from Belgium and only went because we wanted to combine it with The Netherlands. I really fell in love with Belgium though and would really like to return and do a bigger tour of the country! You never know, Belgium might surprise you 😉 That said, yes, Bruges is definitely worth the visit and I would love to visit Strasbourg too! Went to Colmar last year (which is similar) and the Alsace region is so pretty! 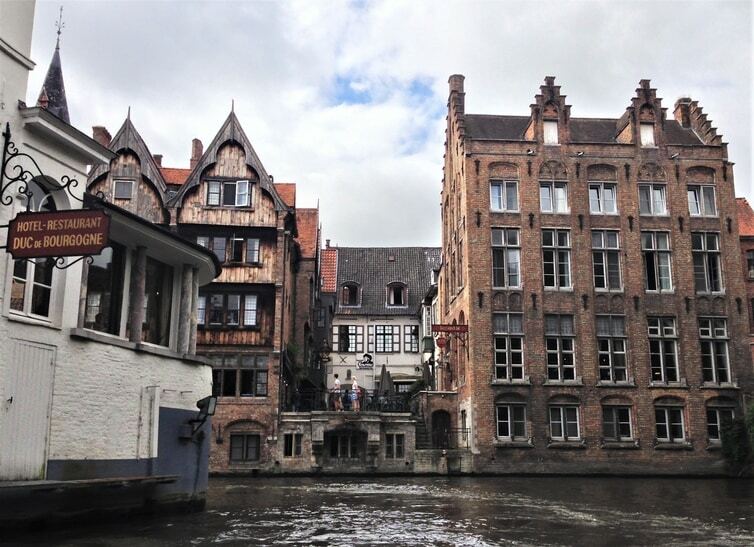 Great post Dear, I loved Bruges, so cute and lovely!